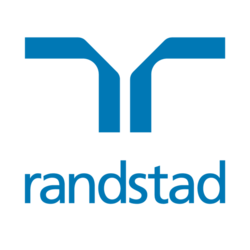 Randstad is currently partnering with one of the fastest growing online trading platform globally. Perform security risk assessment and technical reviews on projects that involves transfer of confidential data or third party access to the company's infrastructure. Investigate suspicious activities and execute containment efforts in the event malicious activity is discovered. Monitoring company assets, network, and data ensuring the prevention of events that negatively impact confidentiality, availability, and integrity. Participate in security incident response efforts by maintaining an in-depth knowledge of common attack vectors, common security exploits, and countermeasures. Develop, refine, and maintain IT Security response playbooks and response plans. Provide feedback on detection indicators and intruder tactics, techniques, and procedures. Collaborate with business, peers, and vendors to drive robust prevention, detection, and remediation methodologies. Other experience preferred: Public Key Infrastructure (PKI), certificate management, digital forensics, cyber threat evaluation and malware analysis.